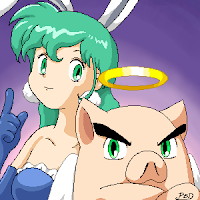 According to a bit of news posted earlier today on Joystiq.com, Konami is readying an arcade successor to its wonderful Parodius series of games. The name of this new game is Otomedius, and it apparently includes touch-screen functionality and networked multiplayer modes. Hmmm, a 2D schmup with touch-screen capabilities--wonder if it will be prepped for release on the DS as well?